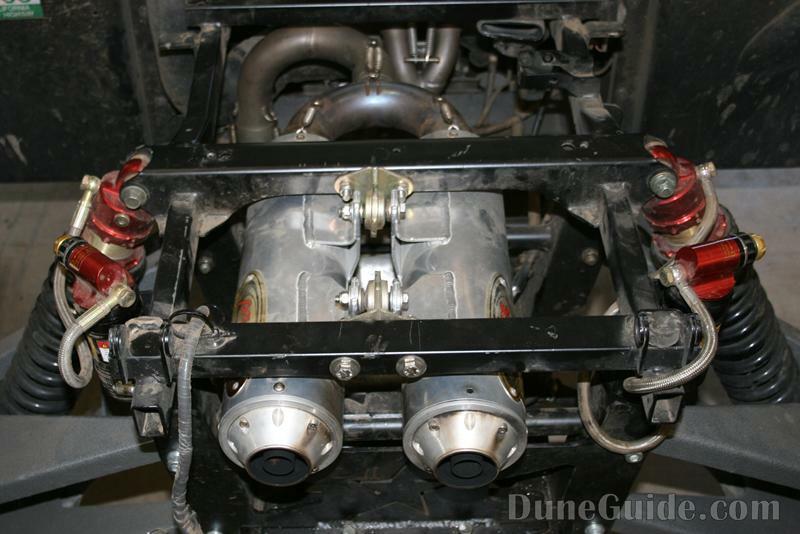 For this stage of our Rhino buildup, I wanted to boost performance without sacrificing reliability. So all these upgrades are pretty much bolt-on, and work well together to provide more top speed and more power. Exactly what the stock Rhino is short on. 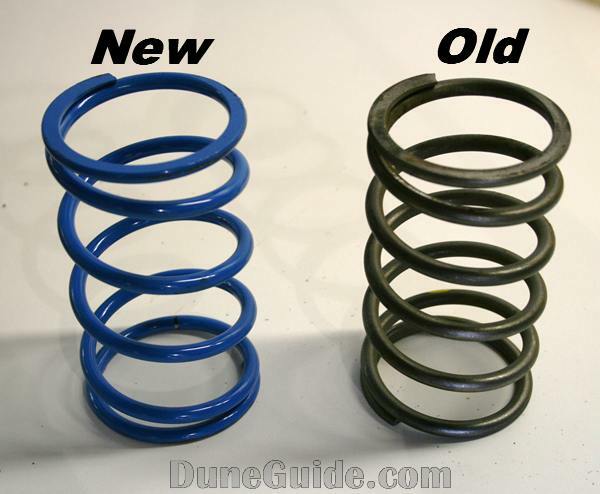 Dyno developed and tested, Pro-Tec's 2 into 1 into 2 balanced flow design will provide a 23% gain in horsepower and a significant increase in low RPM torque. 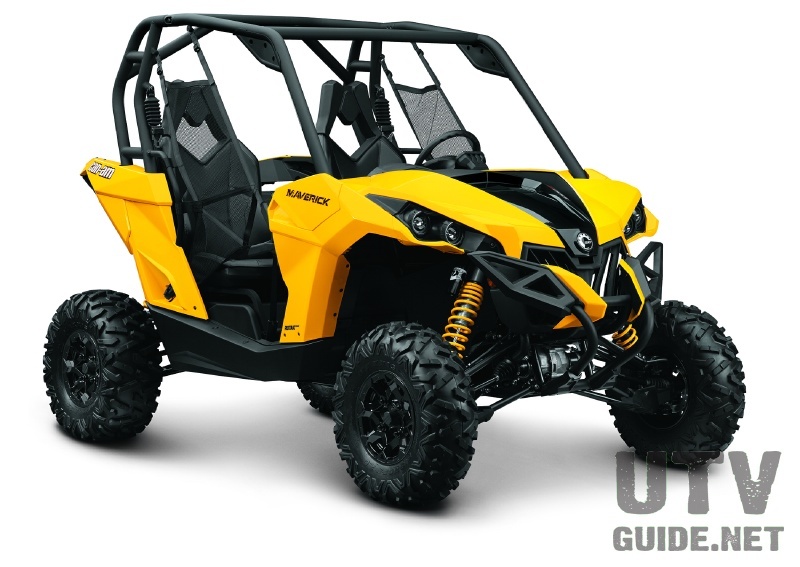 Rubber mounted for reliability and ceramic thermal coated for durability the Pro-Tec Mach-1 exhaust system includes U.S. Forestry approved spark arrestors and an adjustable sound suppression system that allows you to adjust the sound output of the exhaust system. The Pro-Tec adjustable sound suppression system is exclusive to the Pro-Tec Mach-1 exhaust system and will not be found on any other aftermarket exhaust systems. To change the sound output, all you have to do is loosen the four allen head bolts on the end cap, then spin the disk inside to open or close the holes around the tip. 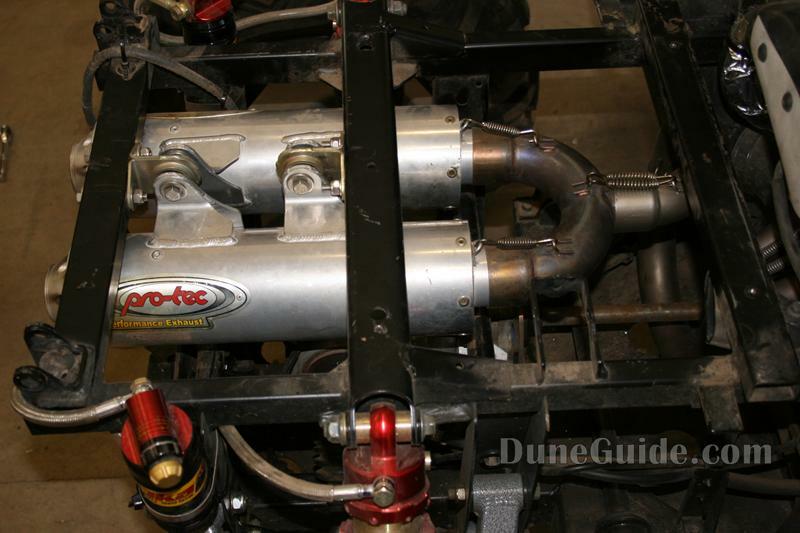 Most aftermarket exhaust can be very loud. With the Pro-Tec Mach-1, you can tailor the noise output and performance levels in just a few minutes. 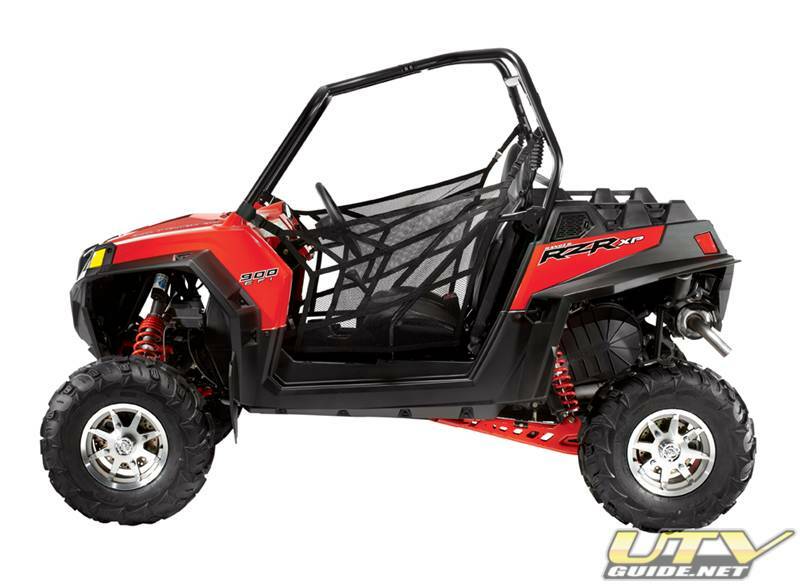 When used in conjunction with an aftermarket CDI you will see a speed increase of up to 31% on a Rhino with a stock engine. An even quieter sound suppression insert is available separately to reduce the sound output. 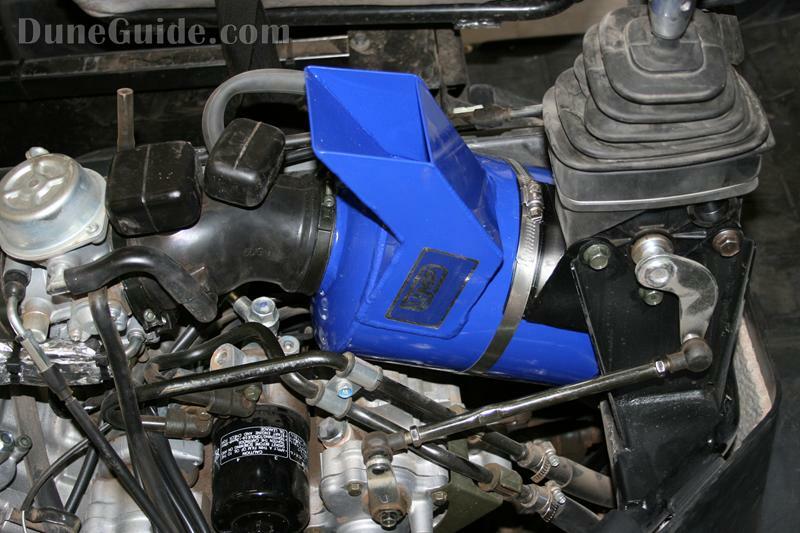 The UMP SUPERFILTER incorporates a unique swirl flow design inside the aluminum air box to help separate the larger dirt particles out before they can even reach the filter. This results in a much longer filter life and increased performance over longer periods. 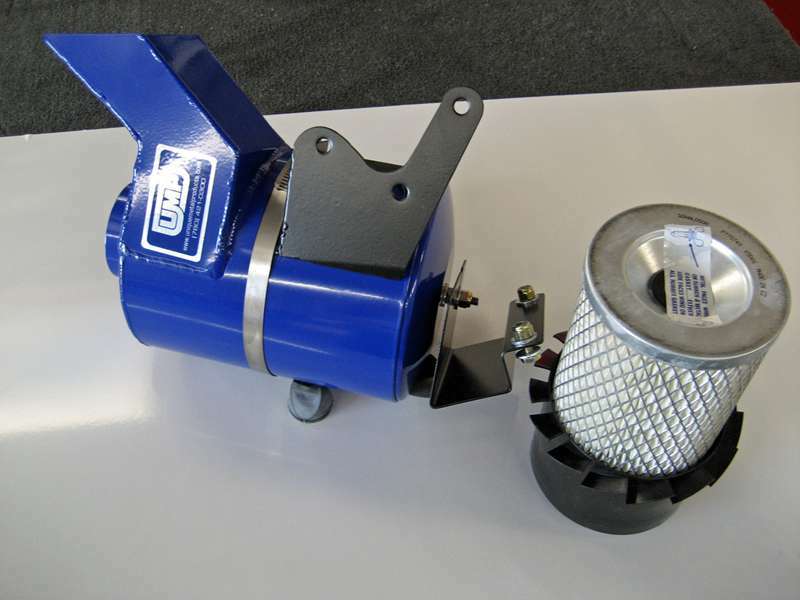 UMP’s filters are developed for the heavy equipment industry. They are a dry paper element and feature a self cleaning action that increases performance for the life of the filter. Plus, forget what you have heard about oiled gauze style filters. With their porous design they flow a lot of air but can’t match the superior filtering capabilities of paper. The filter canister ducts to outside air just like the stock filter does, so you can count on cooler air. A UNI or K&N gauze filter may flow more air than the UMP Superfilter when both are clean, but ride a bit and the oil covered gauze filters get dirty quick. 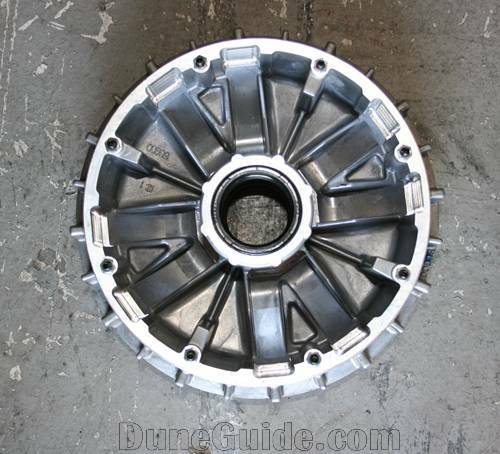 Clutch sheave is precision machined to provide better performance and increase top speed. 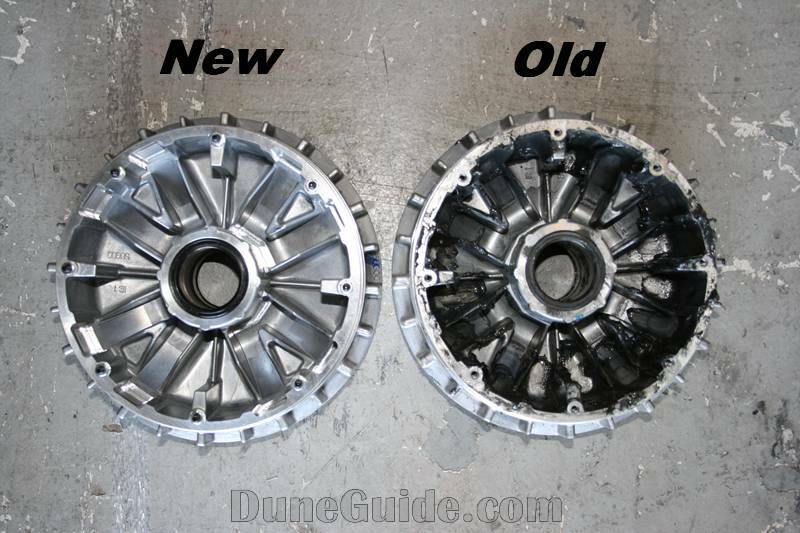 The Sheave is designed to allow the rollers to expand further than an OEM sheave. This additional expansion will increase top speed of the machine. 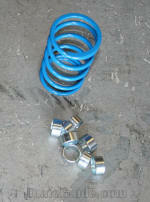 Clutch weights and Secondary Spring for better hill climbing. 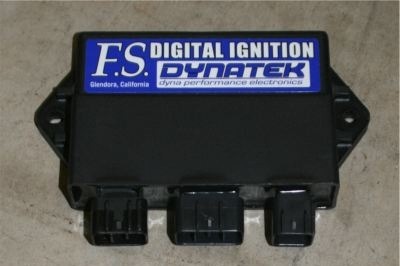 The Dynatek CDI is plug and play. It removes the forward AND the reverse rev limiters and increases max RPM's to 9000.